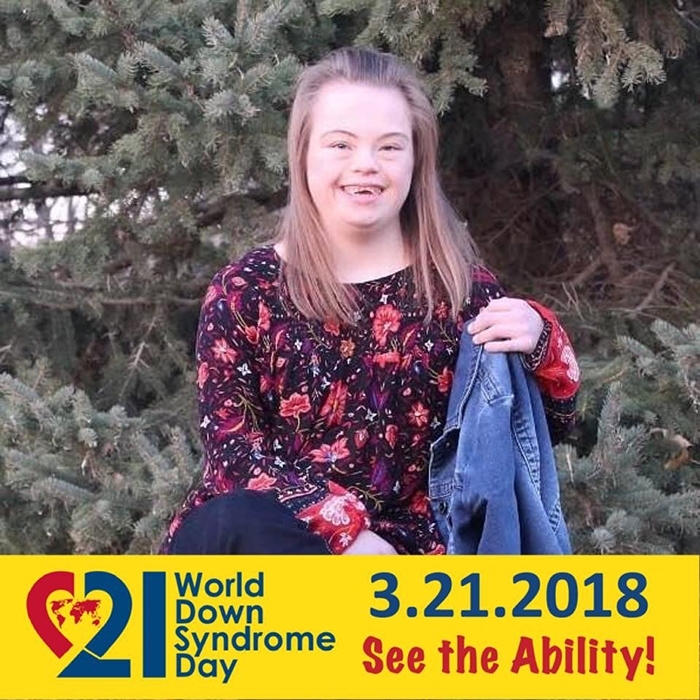 This Wednesday, March 21 is World Down Syndrome Day, and the Canadian Down Syndrome Society is encouraging Canadians to celebrate people with Down Syndrome in Canada and around the world. On this day, people with Down Syndrome, and those who live and work with them, participate in activities and events to raise public awareness and advocate for the rights, inclusion and well being of people with Down Syndrome. People are also encouraged to show their support on Wednesday by wearing colorful socks as part of Down Syndrome International's 'Lots of Socks' campaign. Moosomin's Carmelle Boutin is a local person with Down Syndrome who hopes that people show their support this Wednesday. Carmelle goes to McNaughton High School. She also works at the Borderland Co-op bakery in Moosomin through the school's work experience program. Carmelle is hoping to rally her friends and co-workers to show support by wearing colorful socks this Wednesday!